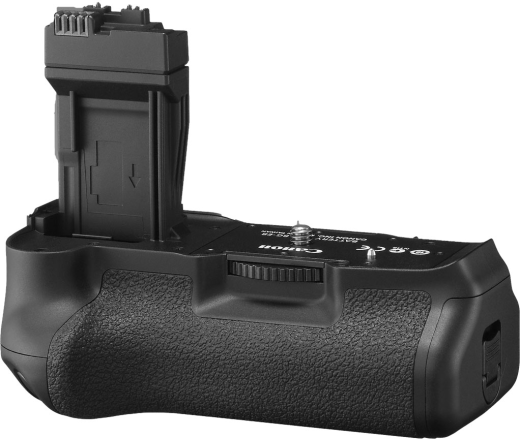 The Canon BG-E8 is the battery/vertical control grip for the Canon EOS 550D, 600D and 650D digital SLR cameras. It allows two BP-E8 batteries to be used simultaneously to allow for longer shooting times. The Canon BG-E8 also provides a more comfortable grip when using the EOS 550D and 600D in the vertical/portrait orientation as key controls such as the shutter release button are duplicated on the grip to provide easier use when the camera is rotated through 90 degrees. The grip will also accept AA batteries via the included battery holder.